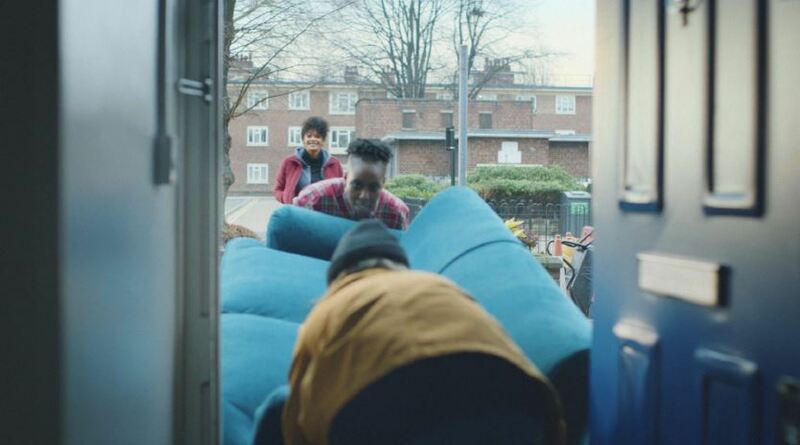 Gumtree and Fold7 have launched their latest campaign ‘The Neighbourhood’s Good’, which encourages people to shop locally by focusing on the similarities between people in their local areas, and how the brand enables them to find things they need or would like to sell in their very own community. It plays up Gumtree’s greatest strength: that it is local, and that you have more in common with your neighbours than you think – so you are more likely to find things that you want from people near you. The 30” ad shows a woman leaving the house and as she walks down the street a voiceover remarks that we never choose our neighbours, we live metres apart from one another but at the same time, worlds away. As she continues down the street, we see people helping each other with shopping, and a young couple struggling to get a sofa through the front door. The voice over continues, telling us we can easily be better neighbours, as “one neighbour’s stuff another might need”. The woman continues down the bustling street, checking the Gumtree app on her phone as she knocks on a door. ‘The Neighbourhood’s Good’ appears on screen as the voiceover concludes ‘Visit Gumtree. Your local buying and selling community’. The ad will run across TV from 12th January, debuting during the commercial break of ITV’s The Voice, followed by a digital OOH and radio campaign launching in February with media planned and bought by MediaCom. Fold7 will be bringing The Neighbourhood’s Good’ to life through a 360 campaign; including social in their newly appointed Content role, since Gumtree consolidated its social account with the agency. Lynsey Love, senior brand manager, Gumtree UK said: “At a time when national and even international norms feel uncertain, disconnected or out of our control, it’s more important than ever to find ways to connect with neighbours and people from your local community.